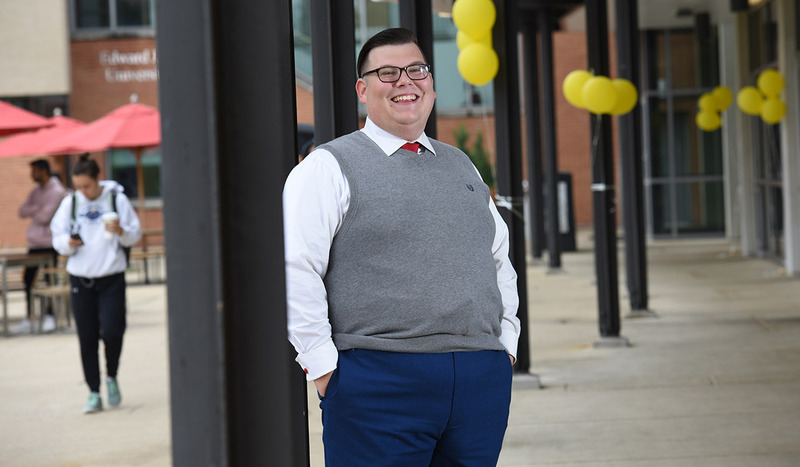 For nearly four years, senior Paul Elizalde has been researching Huntington’s disease by looking at how an incorrect number of chromosomes can affect the survival of yeast cells expressing the pathogenic form of the mutant huntingtin protein. So far, Elizalde has had numerous opportunities to present his findings. Last year, he received a travel award to present his work at the Annual Biomedical Research Conference for Minority Students in Phoenix, Arizona. In 2017, Elizalde was awarded a prestigious summer fellowship from the Huntington’s Disease Society of America (HDSA). In 2018, he was also invited to present his research at the HDSA annual convention in Los Angeles, to which he was flown from the University of Oxford, where he was an Associate Member of Christ Church College. 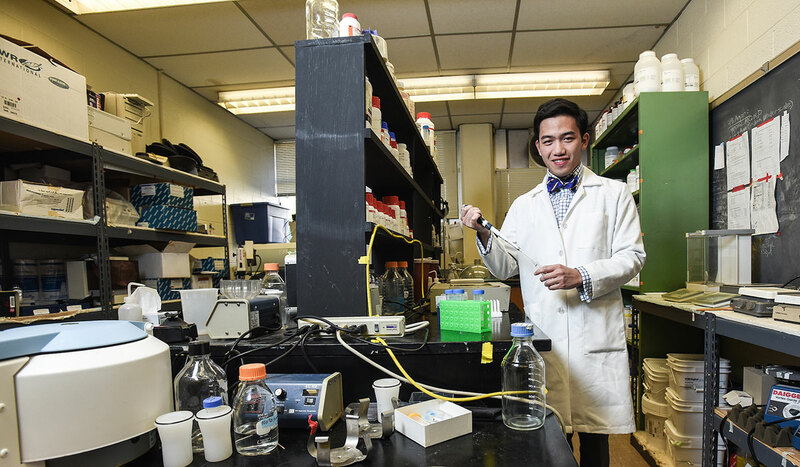 Elizalde first became involved in his research as a freshman, when he took on a work-study position with his mentor, Assistant Professor John S. Choy, a biologist who specializes in genome stability and plasticity. 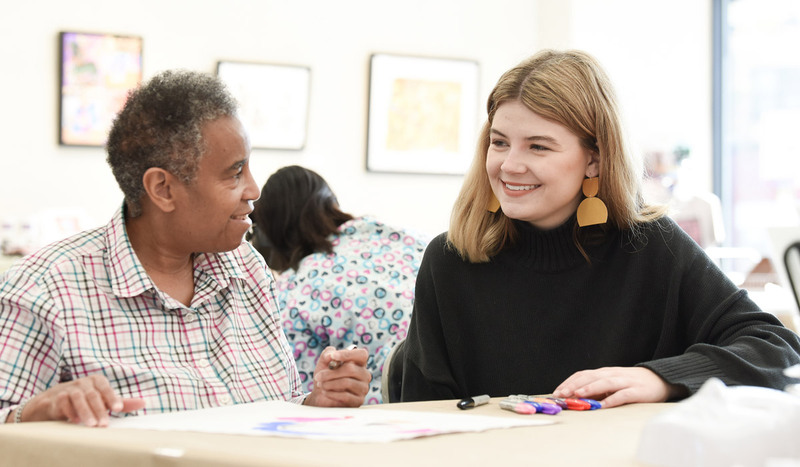 “I was expecting that I would need a few years of classes before I could begin doing actual research work, but by the end of the first semester, I was helping out with the Huntington’s project,” Elizalde said. Choy said he expects Elizalde will be named as a lead and coauthor on several manuscripts currently in preparation, and that he is “very proud” of Elizalde’s accomplishments. 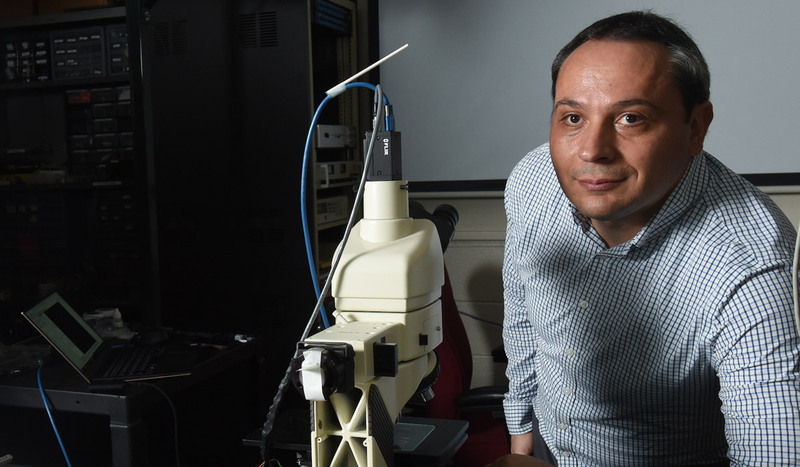 Looking forward, Elizalde says he plans on staying at Catholic University for one more year as part of the Department of Biology’s accelerated master’s program, which allows students to earn both a bachelor’s and master’s degree in five years. Following that, he said he would like to pursue research at a higher level. In addition to his scientific work, Elizalde is also pursuing minors in German studies and music with trumpet performance. On campus, he plays in several performing ensembles, including the Brass Ensemble, the Catholic University Symphony Orchestra, the Catholic University Wind Ensemble, and the pit orchestras for the Benjamin T. Rome School of Music, Drama, and Art opera and musical theatre performances. Together with a friend, Elizalde started the Medieval Society Festival Schola Cantorum, a choir that performs sacred music in both secular and sacred contexts, particularly for Vespers and other liturgical celebrations. Being able to dig deep into his varying interests has been a highlight of Elizalde’s time at Catholic University, as well as one of the main reasons he chose to enroll. Favorite Professor: "Dr. Choy has been a great mentor. He has helped me a lot to understand what it means to be a professor and what it means to be a researcher. His door is always open and I know I can go in and talk to him about anything I’m working on." Favorite spot in D.C.: "I really enjoy going to concerts — like the symphony, the ballet, or the opera — so I like going to the Kennedy Center." What is your favorite thing about Catholic University? : "I have been able to grow as a researcher, musician, and a Catholic through the diversity of opportunities on campus." What is your favorite piece of music to perform? : "I enjoy performing Renaissance and Baroque pieces written for brass ensembles."